Let me just put it out there; I hate the word “perfectionism”. First of all, it implies that perfect actually exists outside the immaculately styled, edited, and professionally photographed worlds of Vogue and Elle Décor. Secondly, it implies that some people (read: the “perfectionists”) are actually better than others. But, I have to admit, this word does exist in our vernacular for a reason because it defines our impossible struggle to be the best. 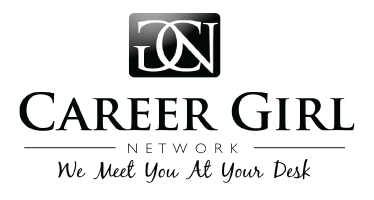 As Career Girls, we strive to be better employees, managers, business owners, friends, humanitarians, etc. every day and it can be exhausting, especially when we feel like we are being measured against someone else’s nearly impossible standards. More often than not, I have found that those standards exist solely in our own minds. We want to shine brighter, have more control, and appear to have it all together, all of the time. I don’t know about you, but I’m winded after just reading that last sentence. So-called perfectionism is a product of fear. And if we let it, it can be paralyzing. We let this fear get in the way of taking calculated risks and experiencing new things. I know that my perfectionist tendencies stop me from doing even the most simple of tasks. For example, I will forego a run completely if I don’t feel like I can do it exactly as I would like. I will procrastinate doing something I’m not 100% confident about because I’m afraid it won’t live up to my own expectations or that I won’t be right, instead of diving right in. The best way I have found to deal with this is to move forward, to make consistent baby steps and to keep making mistakes because there is no better teacher in life. And to trust your gut. Know when enough is enough and that you’re biggest enemy is your own inner critic. Especially as women, we often feel as though we are under a larger microscope. And while that might occasionally be true, we critique ourselves more than anyone else could. Doing is always better than not doing, and letting fear get in our way (i.e. procrastinating) is never beneficial. So I vote that we start glorifying bad hair days, stacks of dirty (or clean!) laundry, and chipped nail polish as evidence that we are living a gloriously full life. I say that we admit our faults graciously and stop judging others for not fitting inside the mold. If you get out of your own way by constantly moving forward and doing things your way, perfectionism will be a thing of the past. Carolyn Stroud works in finance at a commercial real estate firm in Chicago. Her previous experience includes mortgage banking, leasing, running a start-up and captaining an adult co-ed kickball team. Originally from Detroit, she has an undergraduate degree from Kalamazoo College and an MBA from Pepperdine University. Carolyn is a voracious reader and passionate about growing outside her comfort zone. She recently completed her second marathon and is always up for a challenge. Keeping Quiet – The Secret to Achieving Your Goals?